Last week the Reds donned their Big Red Machine era uniforms and officially retired Pete Rose's number. 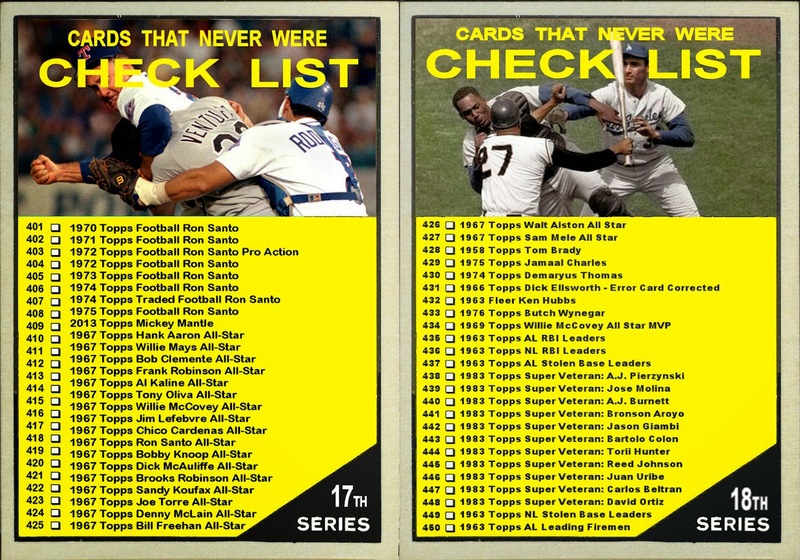 Although his number was never "officially" retired, the only other player to wear #14 since 1963 was Pete Rose Jr. 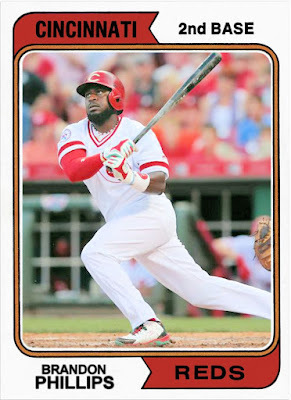 Junior played a total of 11 games for the Reds in September of 1997. 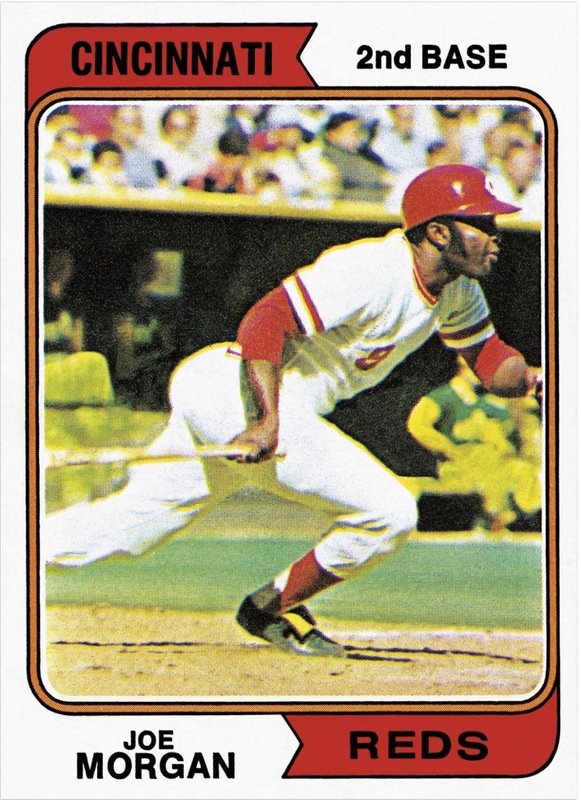 The Reds throwback uniforms were technically their 1976 uniforms. You can see the bicentennial patch on the right sleeve. But I liked the look of Joe Morgan's 1974 card and decided to mimic it using the Reds current second baseman, Brandon Phillips. 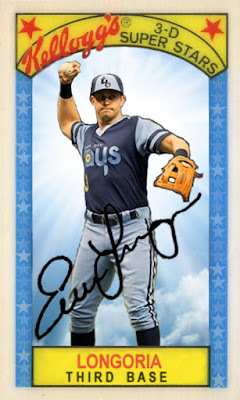 This past Saturday, the Rays broke out their "Faux-Back" uniforms and took on the Giants who wore their 1978-82 orange road uniforms. I decided to make a 1979 Kellogg's Card That Never Was for Evan Longoria. 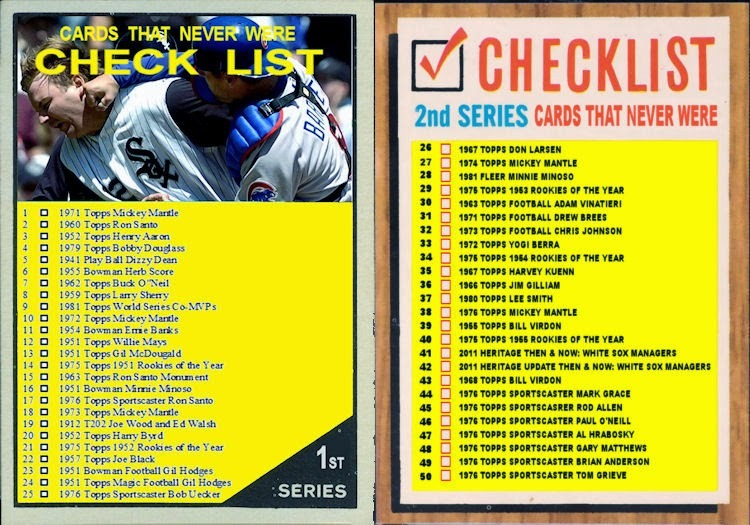 Since these are fake throwbacks, I don't have a card to compare, but here is the cereal box, instead. 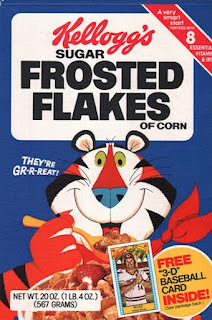 It was Kellogg's 10th year of inserting 3D cards into their cereal boxes. 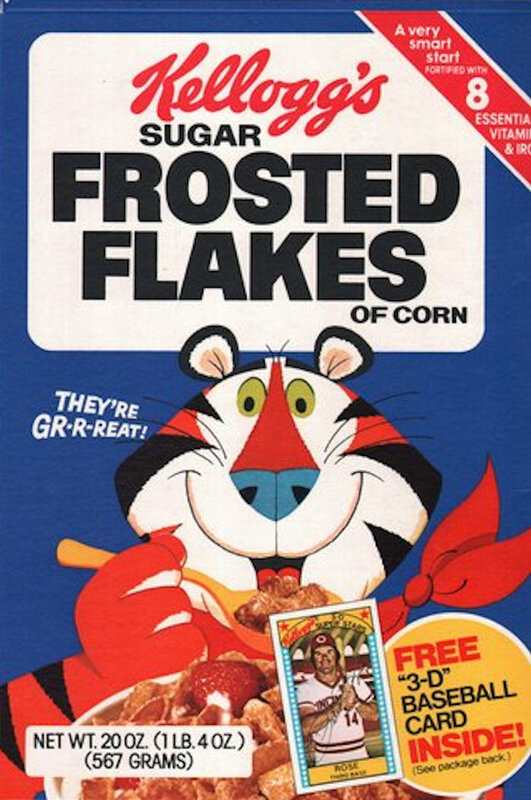 Their sugary cereal was still begged for by card-collecting kids. 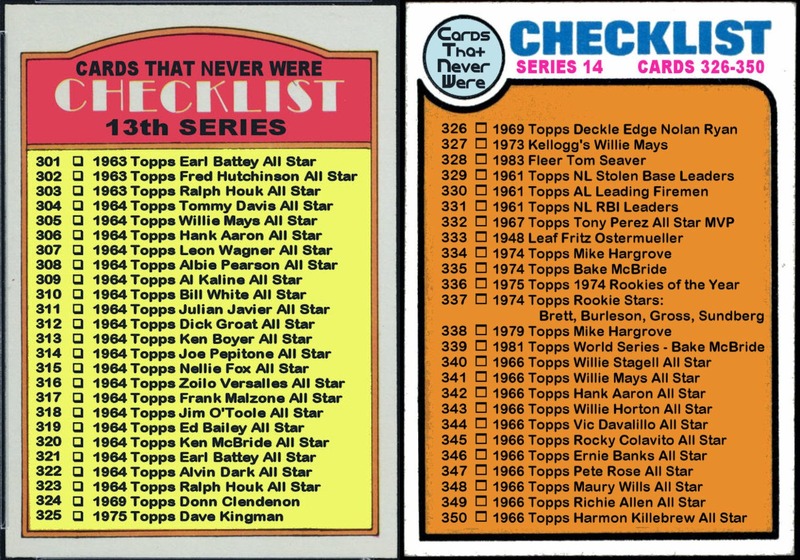 They looked forward to finding Pete Rose, George Brett or Reggie Jackson among their Frosted Flakes while watching Scrappy Doo on Saturday morning before heading off to Little League. 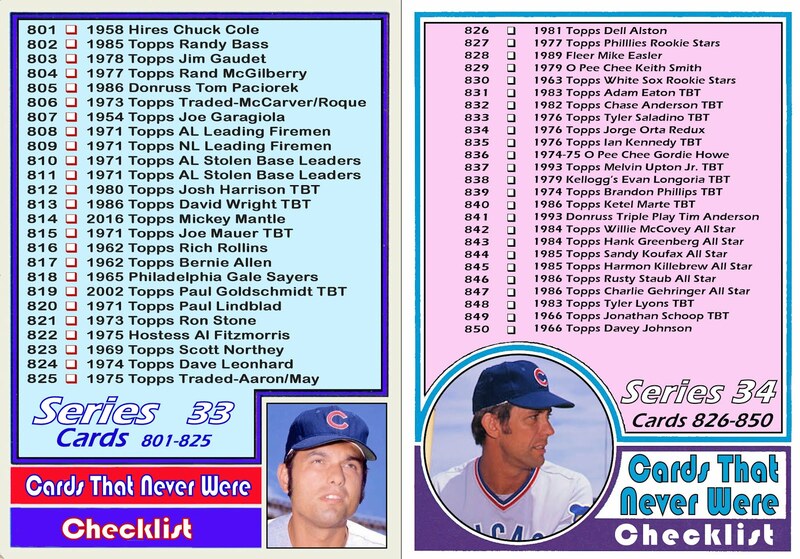 Yesterday, Ichiro passed Pete Rose on the all time hits list. That is a total of both his hits in the Major League and the Japan Pacific League. 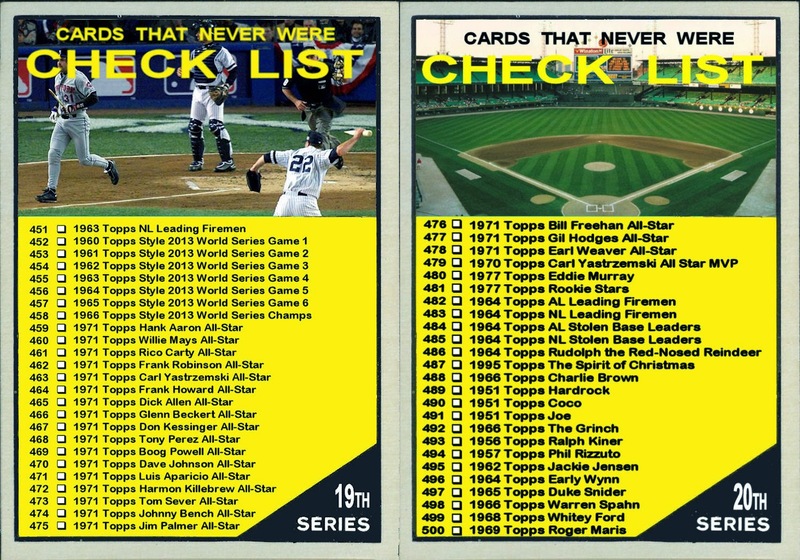 When Rose broke Ty Cobb's record in 1985 he was playing against the Padres. Ichiro and the Marlins were also playing against the San Diego Padres. The Padres were wearing throwback uniforms last night. It would have been just too perfect if these had been 1985 era unis but they were wearing their 90's era unis. 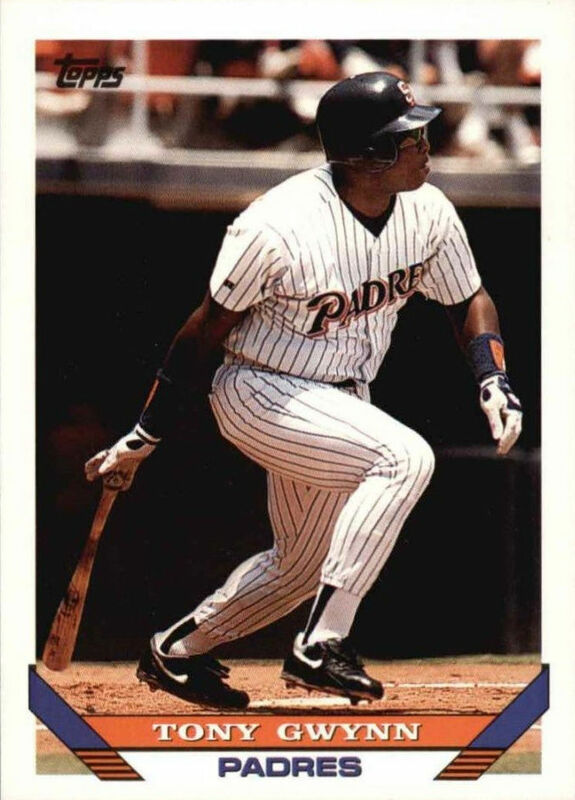 The Padres wore this style from 1991-2001. 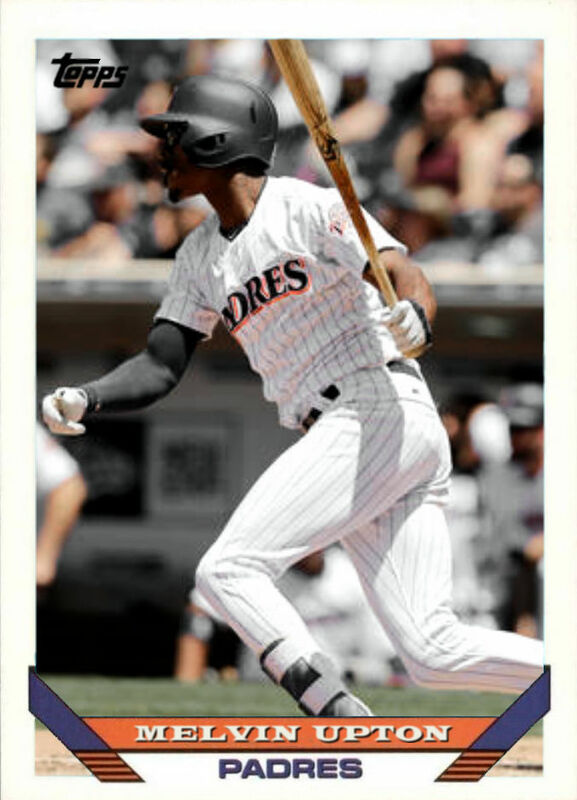 Here is a 1993 Topps throwback card of Melvin Upton Jr. from yesterday's game. As a point of contrast here is the late, great Tony Gwynn on his actual 1993 Topps card. Mr. Padre passed away two years ago today. As usual, the exposed stirrups are missing. The other difference is the matte finish of the modern batting helmet. Last week I borrowed this card from The Phillies Room showing David Hernandez wearing the 1976 pillbox cap. 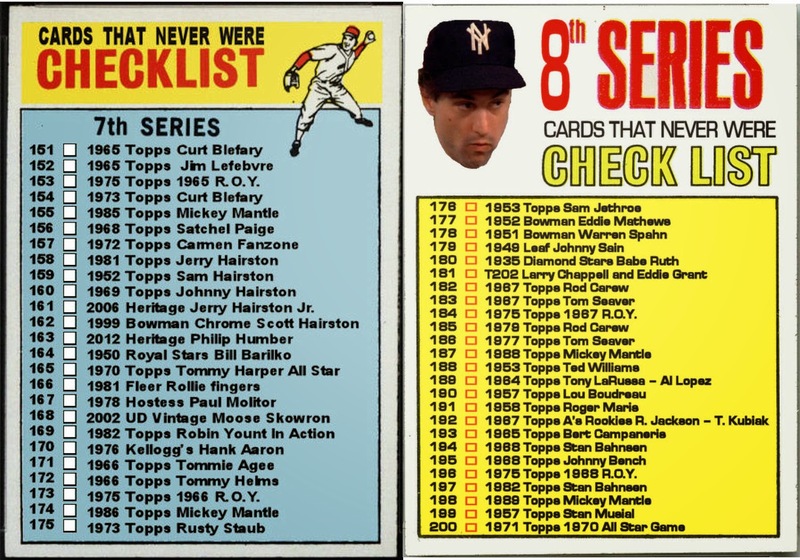 I stated that I could not find a single baseball card from any year/manufacturer to feature that hat. 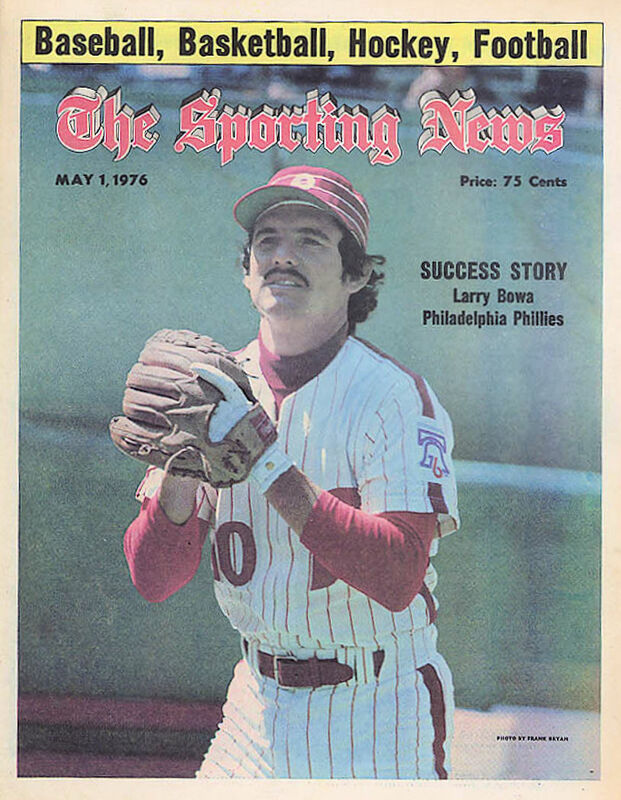 The closest I could find was this cover of The Sporting News from 1976 featuring Larry Bowa. 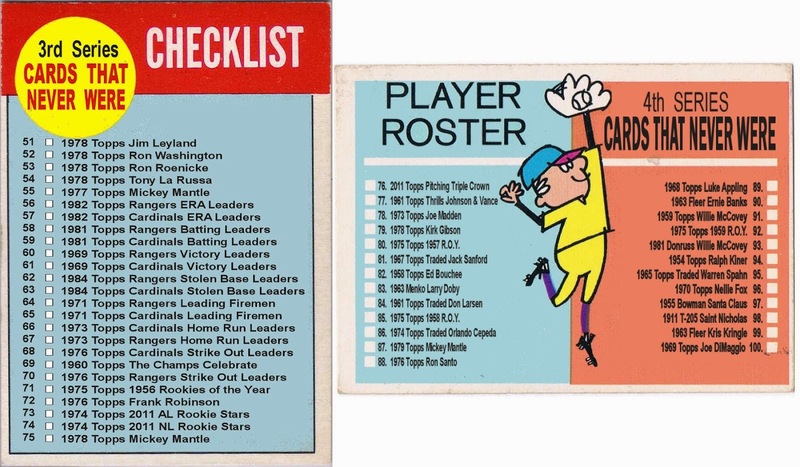 So I put out this challenge: If anybody can find a card featuring this cap on a 1976 Phillies player or coach, I will send them ten '70s era cards from the team of their choice. 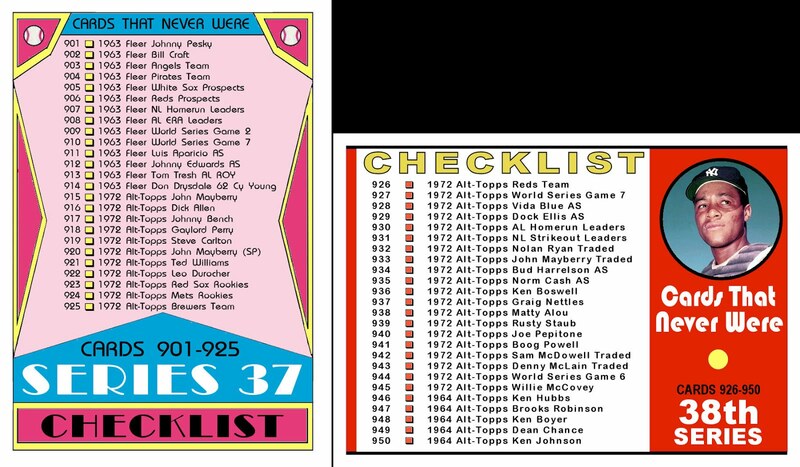 It can be a local team issue card, a card from another team with a Phillie in the background, or even a recent "retro" card (IE Archives, UD Vintage, Allen & Ginter, etc.). 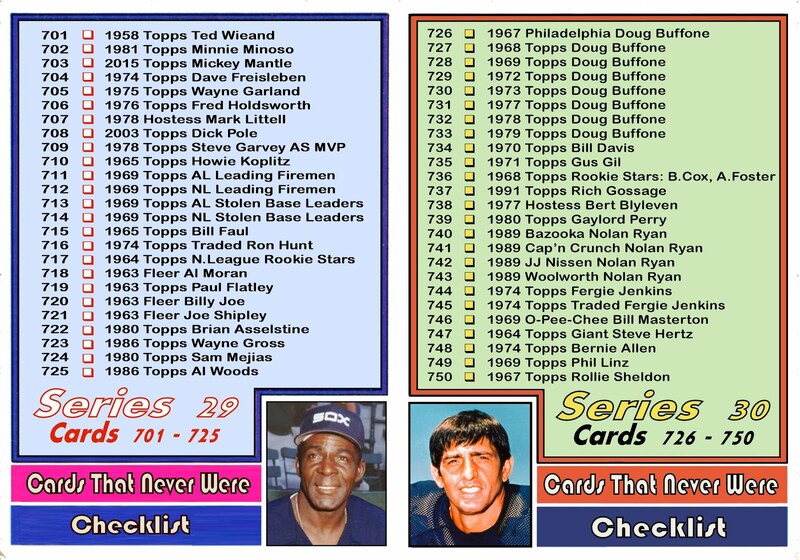 It just has to be an actual card that shows the Phillies pillbox cap. Just to be clear, I don't need the physical card just a link to a picture of it. 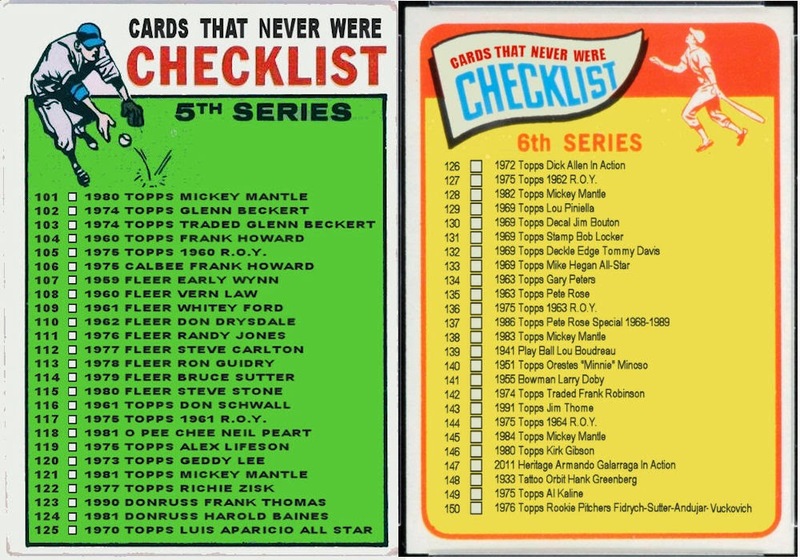 On COMC.com, eBay or whatever. In 1973 Gordie Howe brought his star power and respectability to the fledgling World Hockey Association. 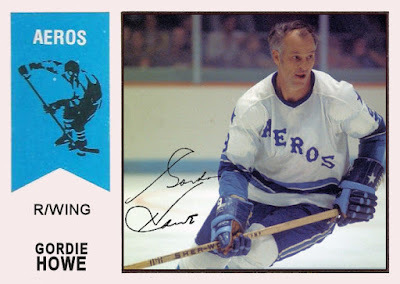 Just 2 years after retiring from the Red Wings due to contractual issues and a wrist injury, Howe returned to play with his sons on the Houston Aeros. Howe and sons went on to win the championship that season. Gordie led the team with 100 points and won the league MVP, an award that in 1975 was renamed the "Gordie Howe Trophy". In 1974 O Pee Chee issued just one card featuring all three Howes. 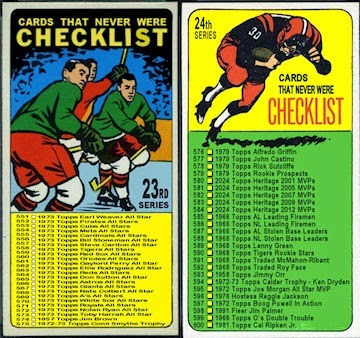 Here is an individual "Card That Never Was" for one of hockey's most influential players. This past week there were two games featuring uniforms from 1976. 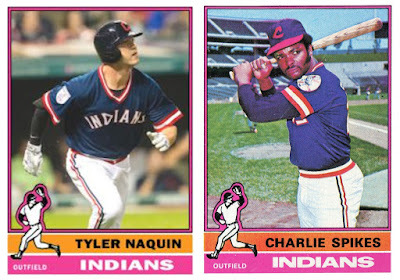 On Saturday the Indians hosted the Royals and both wore 1976 era unis. Friday the Phillies donned their rarely used and even more rarely photographed pillbox hats along with their 1976 home uniforms. They played the Brewers in their 1976 era uniforms. 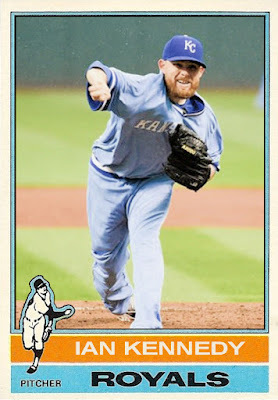 Here is a card from the Indians/Royals game of starting pitcher Ian Kennedy. Kennedy led the league in 2011 with 21 wins for the Diamondbacks. After the loss to Cleveland this past week his record for Kansas City is 4-4. 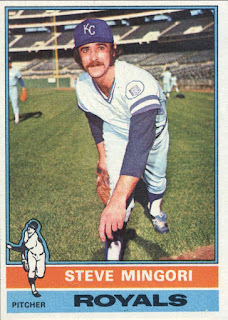 As a point of comparison, I chose this 1976 Topps card of Steve Mingori. 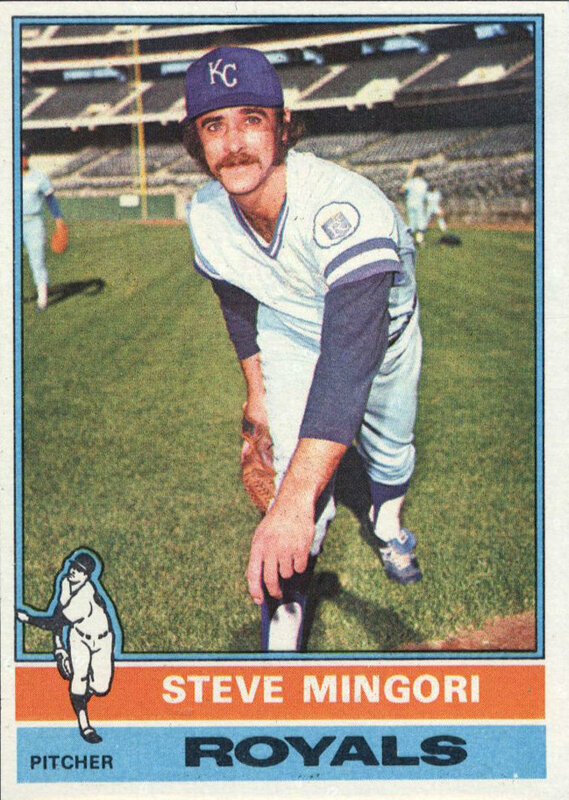 Mingori was a bullpen pitcher for the Indians and the Royals from 1970-1979. Although his overall record was 18-33 he had a respectable ERA of 3.03. The uniforms look pretty similar but the way they are worn is fairly typical for the different eras. Kennedy wears his uniform much looser and Mingori is sporting the visible stirrups. 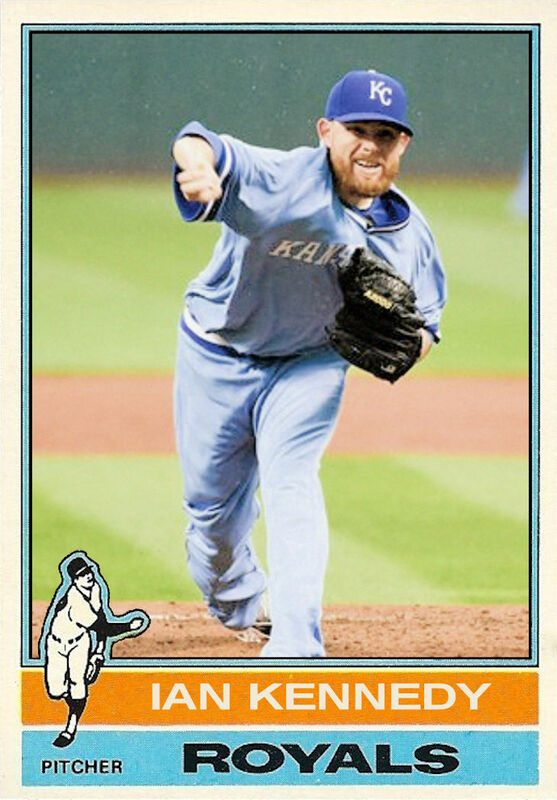 I chose to do the Royals TBT by default. I was beaten to the punch on the other three teams by two other bloggers. 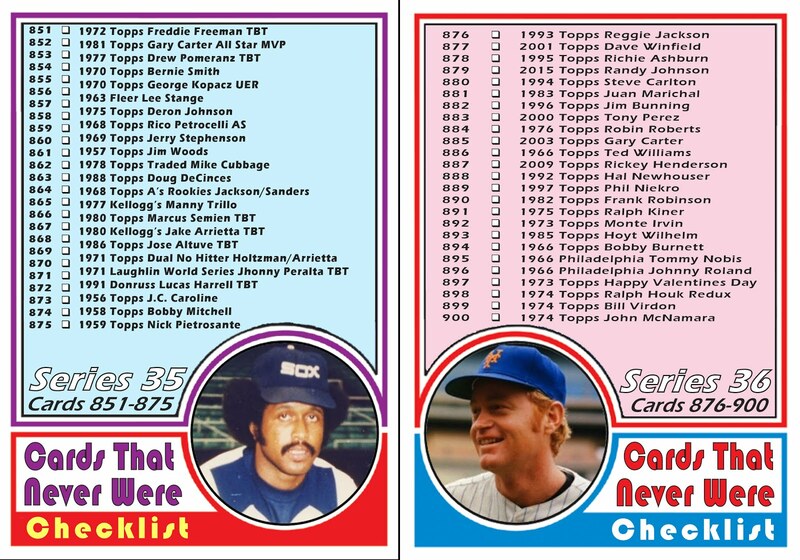 Both of whom have been doing these throwback style cards longer than I have. And both of these blogs are regular reads for me. 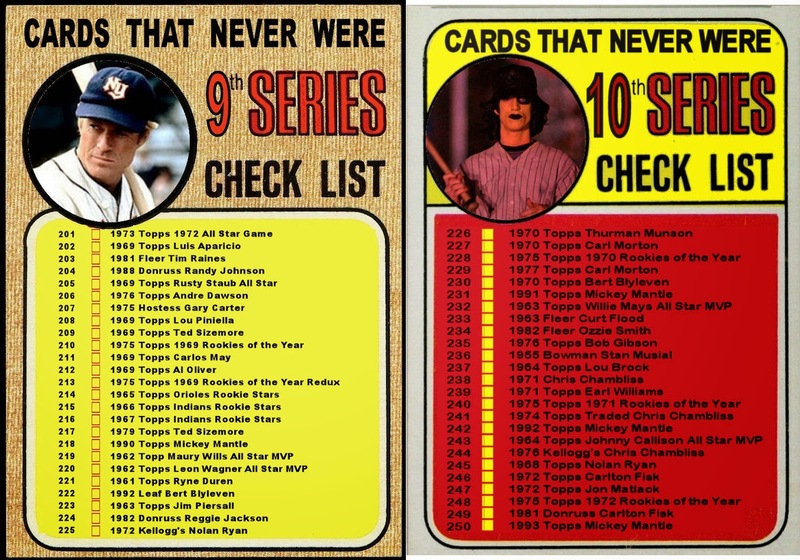 Over at The Phillies Room, Jim has created several 1976 Topps style "Chachi" cards to commemorate this game. 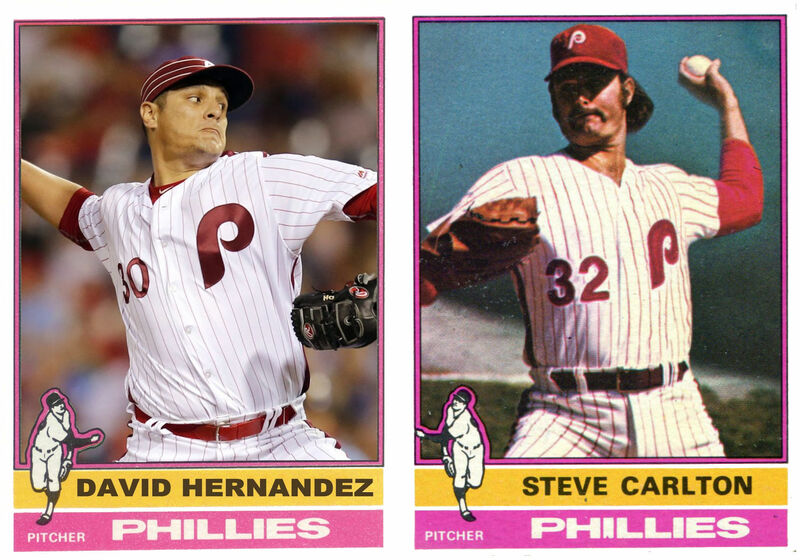 I took his card of David Hernandez and put it next to a 1976 Topps card of Steve Carlton for comparison. The uniforms look almost right. It looks like the Phillies logo and number were a bit lower on the jersey and Carlton appears to be wearing a black belt instead of the color coordinated belt the Phillies normally wore. 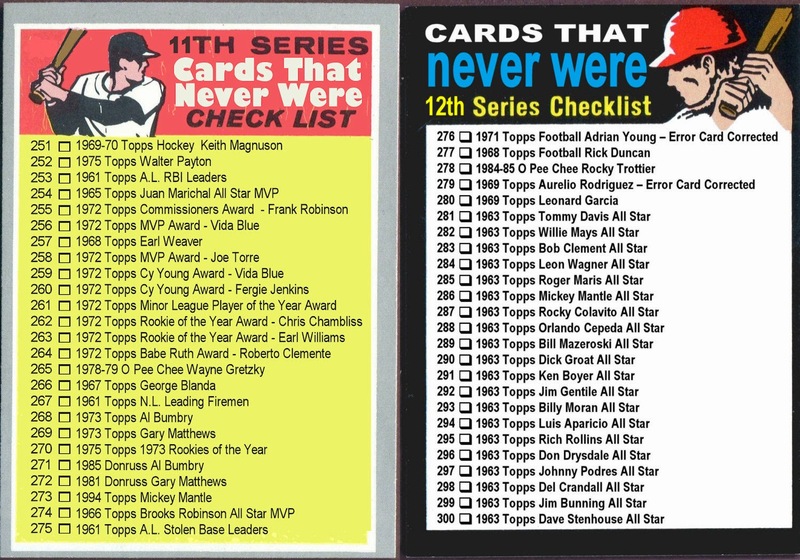 As far as that pillbox hat, I could not find a single baseball card from any year/manufacturer to feature that hat. 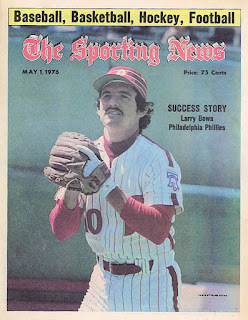 The closest I could find was this cover of The Sporting News from 1976 featuring Larry Bowa. 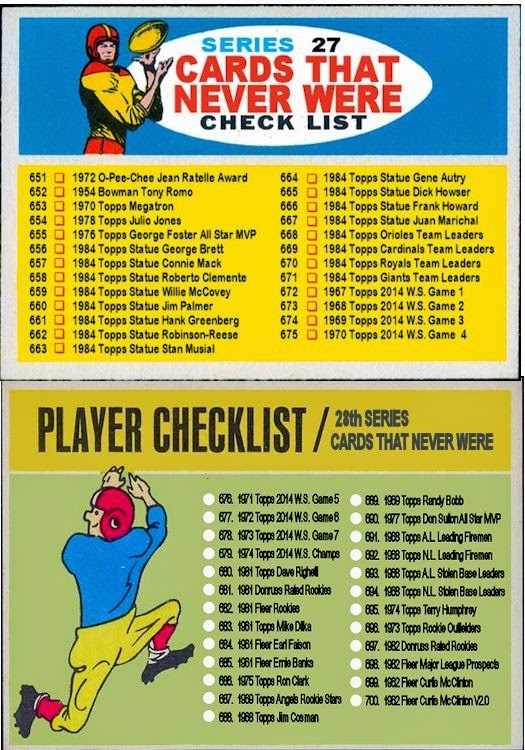 At The Shlabotnik Report, "Joe" posted cards of Jimmy Nelson of the Brewers and Tyler Naquin of the Indians in their full retro unis. I paired Naquin up with a 1976 Topps card of Charlie Spikes, one of the great names in baseball. Other than the helmet which is sporting the current logo, The uniforms look very good. I had a tougher time finding a 1976 card that showed this version of the Brewers away uniform. 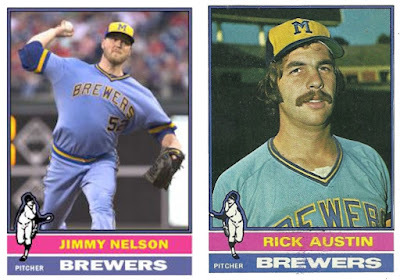 The best I could do was this head and shoulders shot of Rick Austin looking very 1976 in his Brewers trucker cap and "Boogie Nights" mustache. This is labeled "Part Deux" because the White Sox have had several throwback looks in the past few years (plus they are my favorite team). This one is from last season when they broke out the 1976 look (minus the shorts). I had to do a little revisionist history to make this work. 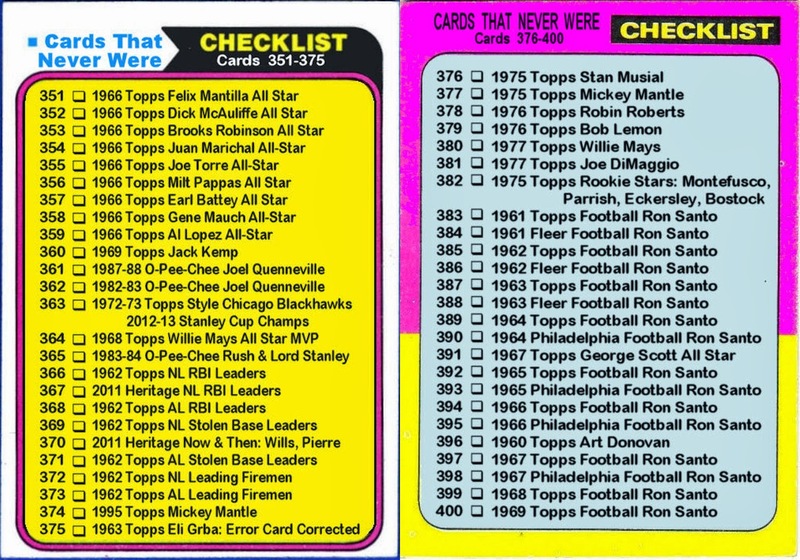 As a result we get two Cards That Never Were for the price of one. 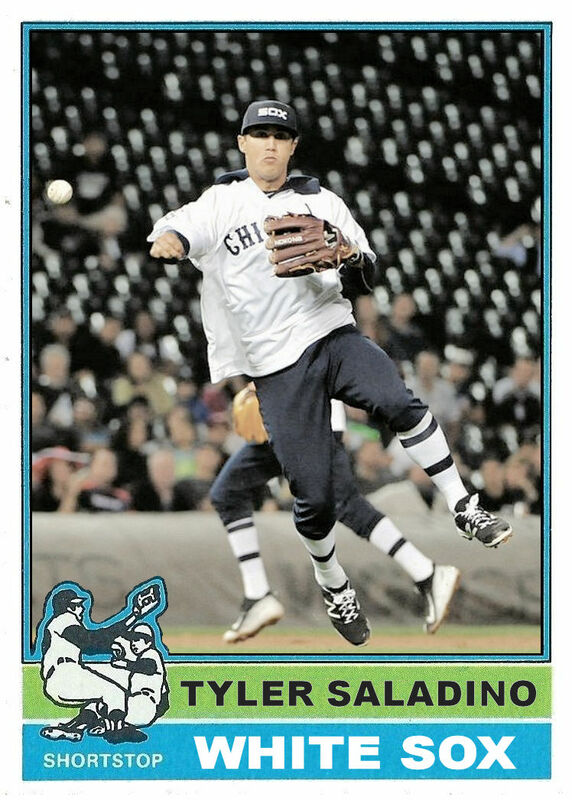 First is Tyler Saladino, the Sox's back-up shortstop. I chose him because this is a nice action shot that shows of the 1976 throwback uniforms nicely. It also shows off a typical White Sox home crowd. 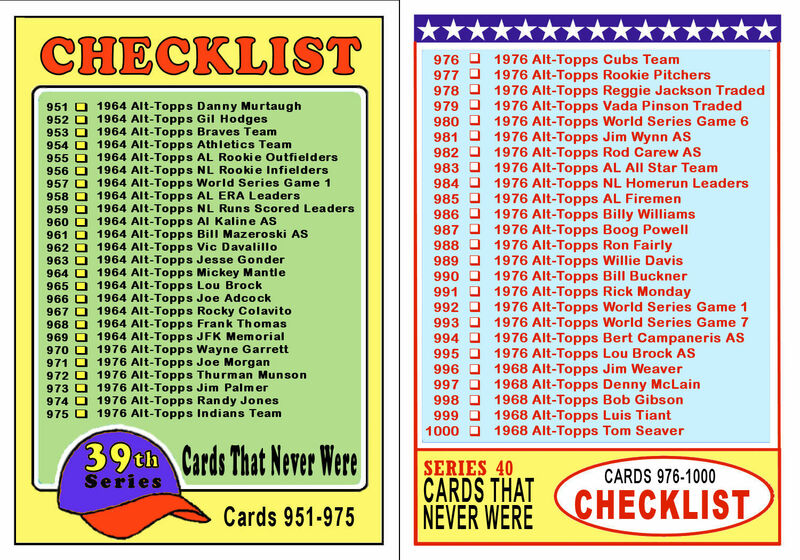 In the 1976 Topps set the Sox were understandably depicted in their 1971-1975 red uniforms. 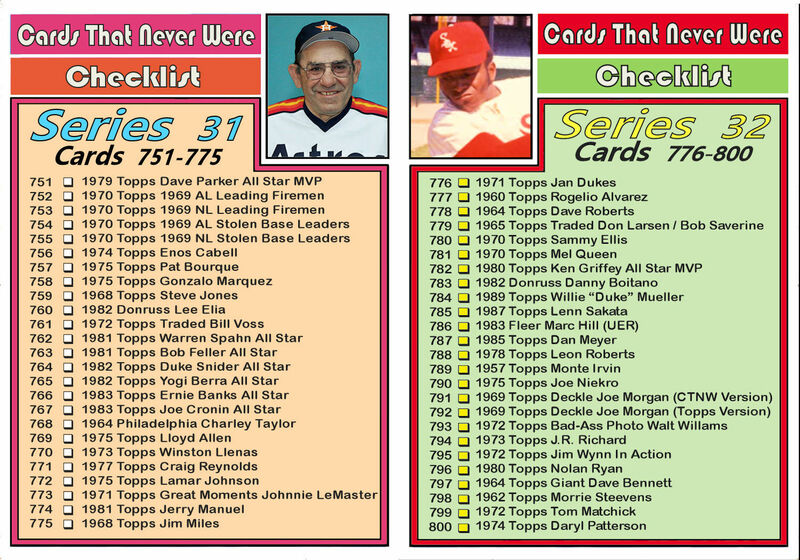 Also the cards color schemes reflected the team colors. 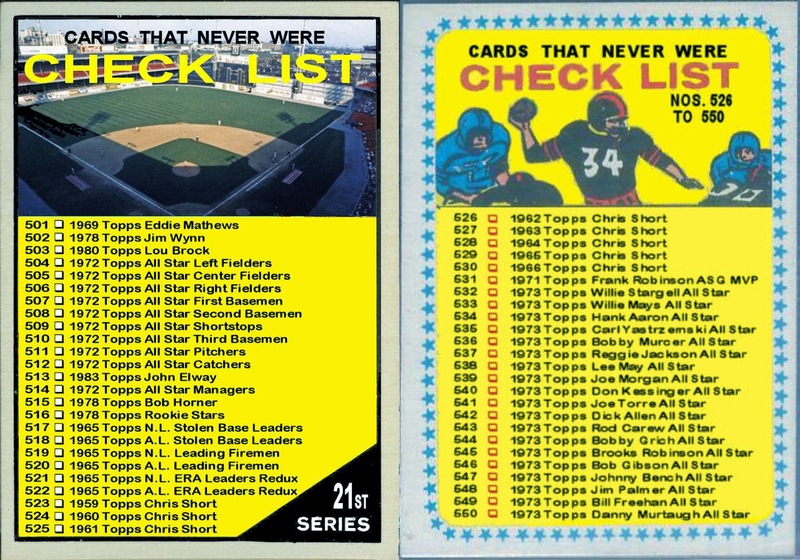 Therefore I had to alter the 1976 Topps White Sox cards color scheme to go along with their new (for 1976) look. For a comparison I needed to cheat a little. 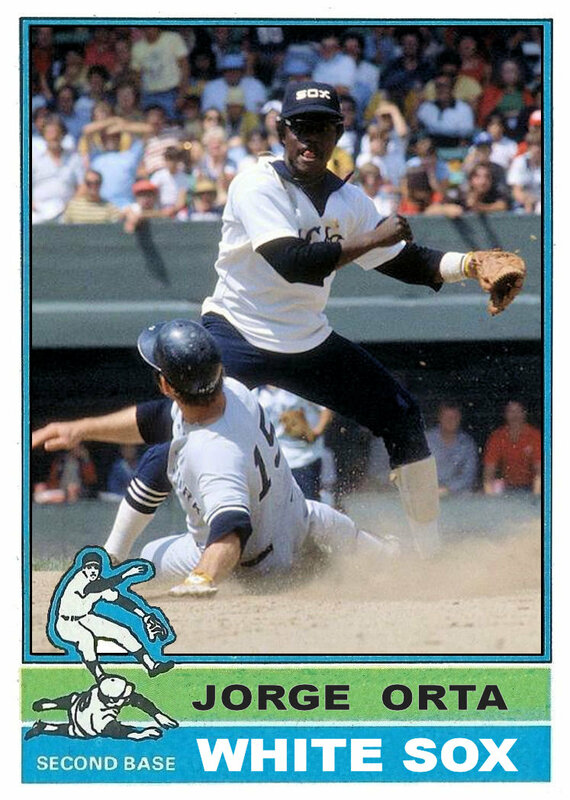 I found this great shot of Jorge Orta (with a cameo by Thurman Munson), so I used it to remake his 1976 Topps card with the modified color scheme.